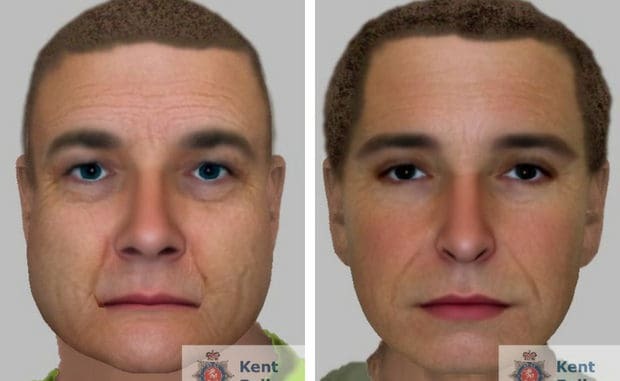 Officers investigating a report of a distraction burglary in Broadstairs have issued computer-generated images of men they want to identify. One of the suspects called at a residential property in Woodland Way at around 1.45pm on Thursday 12 July. He claimed to be carrying out work on a nearby road and told the victims a wall outside their house would need to be knocked down. The conversation continued outside of the property and, moments later, a second man was seen coming out of their home via the open front door. He was challenged by one of the homeowners but said he was just looking for his colleague. A third man, driving a white car, was then seen to pick up the two suspects and drive away in the direction of Margate. Investigating officer Detective Constable Gareth Foreman said: “The victims have now been able to provide us with good descriptions of the two suspects who were wearing high-visibility jackets. Witnesses or anyone with information about the burglary or the identity of the suspects should call Kent Police on 01843 222289 quoting reference number ZY/040326/18.